PARIS -- PSA Group's methodical return to North America so far has been marked by futuristic steps into mobility services. Now, it's about to get more traditional. 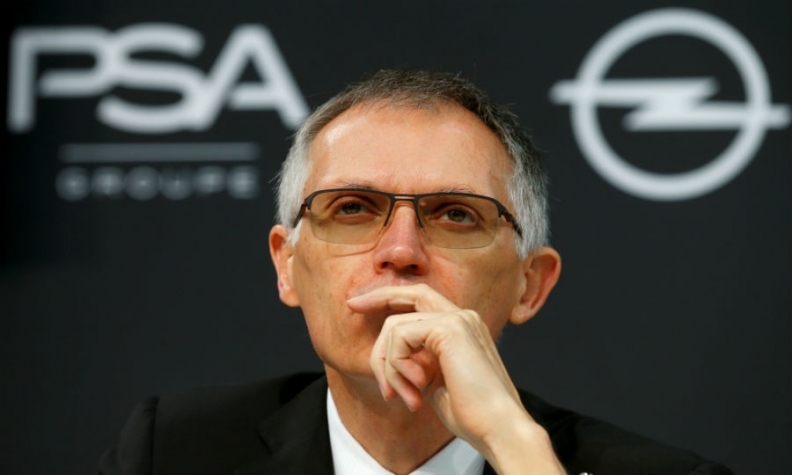 In the coming months, the French automaker will make key decisions about how it will distribute and sell cars, CEO Carlos Tavares said at the Paris auto show. For starters, the company will make a call on its product plan, including which of its brands will be represented in the U.S. In addition, PSA will decide where its U.S.bound vehicles will come from and what the distribution model will be. Those decisions will give a much clearer sense of direction for the auto maker, which pulled its Peugeot brand from the U.S. in 1991. PSA also markets the DS and Citroen lines and last year acquired Opel from General Motors. Trade friction is complicating discussions on where the vehicles will be built, Tavares said. After slapping 25 percent tariff s on cars coming to the U.S. from China, President Donald Trump is threatening similar levies on European-built models. PSA also hasn’t officially said whether it will go with a traditional franchised dealer network, but it has hinted that will be the likely course. If so, North American CEO Larry Dominique has said the company will be conscious of doing it in a way that limits dealer costs and ensures profitability. Meanwhile, PSA continues to expand its mobility services. That effort has been designed in part to help the automaker better understand American consumers as it inches toward a stated target of selling cars before 2026. Last week, PSA said it will begin a short-term car rental service in Washington, D.C., at the end of this month. In addition, it expanded the services available through its Free2Move app, which can be used to order and pay for car-sharing, ride-hailing, car and bike rentals, public transit and other transportation services. Free2Move launched last year in Seattle and Portland, Ore.